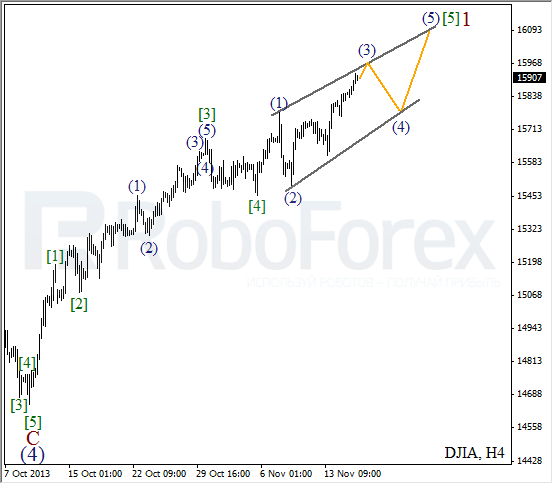 Index continues forming diagonal triangle pattern in wave . Last Friday, Take profit on my buy order worked. 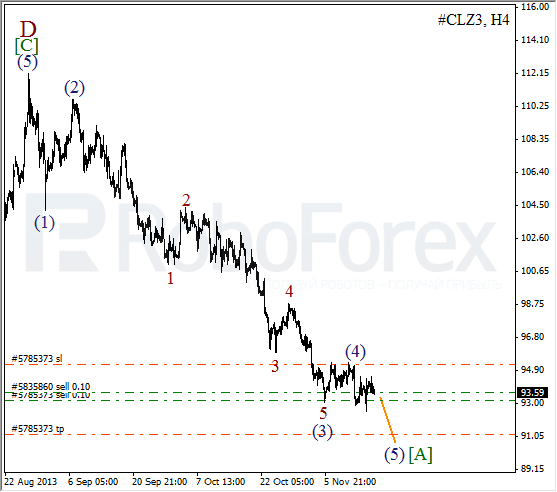 On minor wave level, price is completing third wave and may start new correction during the next several hours. More detailed wave structure is shown on H1 chart. 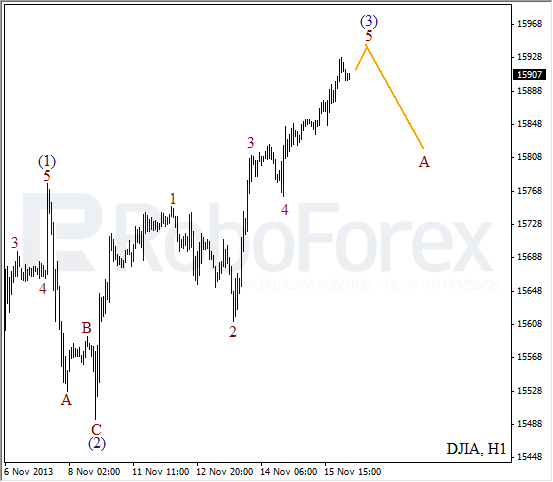 Price is completing the fifth wave inside wave (3). During Monday, instrument may yet reach new maximums, but later it is expected to start falling down inside initial wave A. Oil, in its turn, continues moving downwards. It looks like price is firming wave (5) of [A]. Right now, I have two sell orders. Instrument is expected to break minimum during the day. 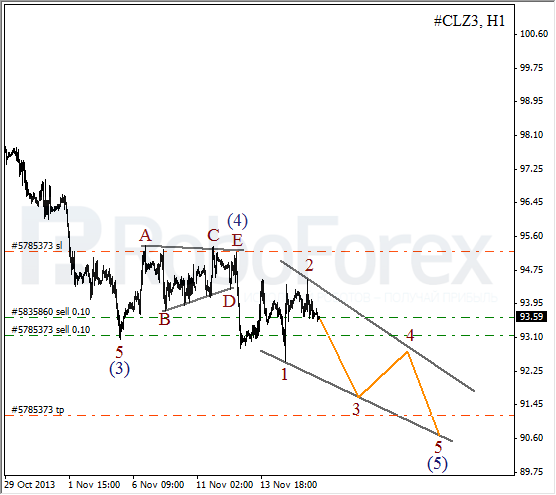 As we can see at the H1 chart, right now price is forming diagonal triangle pattern inside wave (5). On minor wave level, instrument completed wave 2 and is about to start falling down inside the third one. Critical level here is maximum of wave (4).